Buying a home comes with a hefty price tag. The initial down payment, monthly mortgage payments, and associated taxes are only some of the costs that you’re going to have to worry about during the tenure of being a homeowner. Unfortunately, many homeowners fail to recognize the additional costs that can plague them in the long run. Purchasing a home involves more than paying for the listing price. Closing costs are a series of charges that are included in the home buying process as well. 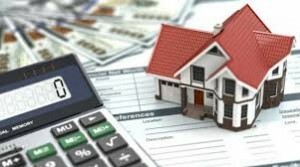 For instance, performing a credit check, inspecting the house for termites, appraising the house, and loan origination fees, are only some extra expenses that you’re responsible for paying for. These fees can add some extra baggage on top of the monthly payments that you’re already making so it’s important that you factor these in to avoid any hidden surprises. The cost of utilities is obviously dependent on its usage. However, utilities may be used more if your home isn’t properly insulated or filled with energy-efficient products. If that’s the case, expect summer days to be blistering and winter nights more frigid. Prior to visiting a prospective home make sure to take 5 to 10 minutes to inspect whether or not the house has energy-efficient products installed. This will ultimately affect heating and cooling costs in the long run. Bio: Kuba Jewgieniew is the CEO of Realty ONE Group, a real estate firm that was built to be a company that invests in the success of their people. Homeownership remains a top priority in the United States, and for good reason too. But, with economic hardship falling upon many today, millions of hopeful homebuyers are struggling to afford the daunting costs. Before you begin the home buying process, there needs to be a significant amount of money stored in an account for the down payment, mortgage payments, etc. When it comes to investing, one challenge that many homeowners and investors are facing is where they should store their hard-earned money. Easy accessibility and safety are two factors that are prominent in these times. The volatility of the stock market can either help you, or completely wipe your savings out. While it may seem tempting to double your money with flying small-cap stocks, you also face the risk of losing it all on one bad day. 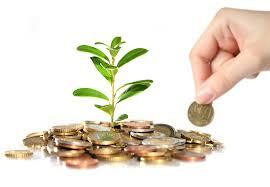 At the same time, you don’t want to store your money into an account that nets you close to nothing in returns. Additionally, your risk tolerance is going to be different of a long-term investor, assuming you’re buying your home within the next year or two. Don’t mix your savings goals in the same investment portfolio. It should spells out bad news. Separate your investments into different “buckets”. Meaning, your short term capital, ideally your home’s down payment, should be kept in one bucket while your medium and long term goals, like your retirement or child’s college fund, should be in the other. Separating these will allow you to focus on building investment portfolio that best suits your short and long term needs. Bio: Kuba Jewgieniew is the head of Realty ONE Group, a real estate brokerage firm that has nearly 5,000 associates across the United States. If you’re looking to determine what state or condition your sofa is in, you’re going to have to dig deep into the furniture piece. This means taking an in-depth look at the frame, the cushion filling, and the seating support. A high quality sofa starts with the frame. Additionally, the wood that the frame is comprised of will determine its overall durability. For instance, softer wood like pine will begin to warp and bend after five years or so. Sturdier wood like ash or beech tend to last longer. A good indicator would be to lift one corner of the sofa. If you’ve raised it past six inches and the other front leg is on the ground, then the frame is giving out. New cushions have that plump feel to them. Over time through constant usage, your cushions will begin to sink in and provide less support to your lower back. 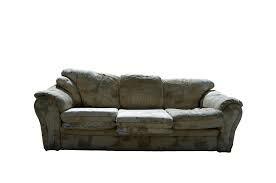 Unless you want to suffer from lower back pains, it’s important that you replace the cushion filling. Depending on the type of filling that you want inside your cushions, you’re going to see a variety of price ranges. Polyurethane foam is a low-cost and easy-to-care-for filling, but doesn’t offer the dense feel of high-resilient foam. If your budget allows it, look into mixing and matching different foams with batting to get an evenly balanced level of comfort. If your springs are shot, they’ll give way to the core support system. To test this out, sit firmly on different areas of the couch. If you’re hearing multiple creaks and squeaks throughout, then the springs are either bending or hitting the frame. Bio: The Foam Factory is a distributor of a wide range of open and closed cell foam materials. If you’re looking into custom foam cushions, be sure to visit the Foam Factory online today. 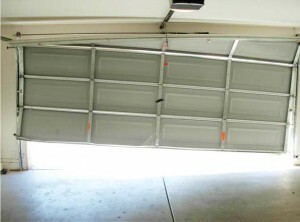 We sometimes forget that over time, a garage door goes through a lot of wear and tear. It’s just another part of our daily lives, so we don’t pay attention to the specifics of its normal operation. Thankfully, our garage doors will let us know when they need service. The trick is to know what to look for. Any operator will notice a door get stuck, but what about the wear and tear on springs before that happens? Before you need to call for professional garage door repair in Buford, GA, read this list of items to look out for. If there are any broken wires, hinges, or other parts, it’s definitely time to contact a professional to get some help. Not only could these result your door becoming completely non-functional, they can also be very dangerous. The extra stress that is no longer being held by the broken parts gets added to the rest of the door, increasing the chance of failure elsewhere. If enough parts break, the door could even fall shut, potentially harming anyone unlucky enough to be in the way when it happens. If the door shakes while opening, or makes more noise than normal, a part you have not noticed may have broken in your Atlanta garage door opener. Another sign that you should keep an eye out for is cracks or holes, or if the paint has worn thin in places. Moisture can build up in the wood, which leads to rotting or structural damage that may require you to replace your entire door. The sooner you catch this, the better your chances are of being able to repair, instead of replace, your door. If your garage door randomly seems to open or close itself, check all of your transmitters. If one is stuck under something where the button could be depressed, this may be the culprit. Another trick is to try changing the transmitter’s frequency. Occasionally a neighbor will have a transmitter that uses the same frequency, and is inadvertently operating your door as well as theirs. If none of these remedy the issue, you should seek professional help for garage door opener repair in Atlanta. With these things in mind, and remembering to check the system over once in a while, you can save yourself a lot of time and money by catching issues before they compound theirself and more issues arise. If you ask most people how they stay cool when the temperature goes up, they’ll most likely mention something like an air conditioner. Maybe they’ll say a fan, but likely it’s going to involve modern fan coils. For decades, we’ve relied on fan coil units to help keep us cool when Mother Nature is making the outside world hot. However, a lot of people would be surprised to find out just how far this type of technology has come in a relatively short amount of time. If you’re constantly reaching for a traditional air conditioner to stay cool, you’re most likely missing out. Instead, you should think about portable AC units. They’re basically air conditioners on wheels. The great thing about them is that you can roll them into any room in your home and ensure that the most amount of cold air possible is delivered. This is far better than current methods where many areas get left hot. Furthermore, you’re not going to be wasting money by trying to cool the whole home when it’s really just a room or two you and yours are occupying. 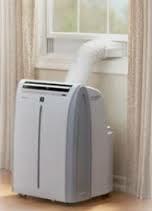 You only pay for the cool air you’ll be using which makes a big difference where the utility bill is concerned. 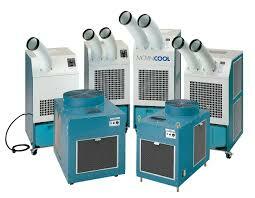 If you want to own a fan coil unit you can count on for years to come, look no further than Movin Cool. They have unsurpassed knowledge where this market is concerned meaning they’ll ensure you make the best possible choice. Portable air conditioning units have given homeowners many reasons to rejoice. For one, they are a cost-efficient substitute to the money-milking central air conditioning units that most houses have already installed. They also provide a wide range of options that benefit the user such as a built-in humidifier, a supplemental cooling sequence, or even heat pumps. Otherwise known as a spot cooler, these portable air conditioners commonly come with an “air-cooled” system which is generally ideal for a typical home. Air-cooled units provide flexibility, portability, and a high-powered system that can cool down a room in a short amount of time. Today, there are a wide range of portable air conditioners being sold but air-cooled units still remain the heavy favorite out of the other systems. However, specialty systems have also increased in popularity due to their importance and remain a fast growing product on the market. There are certain applications that air-cooled systems can’t be used for. For example, a sterile environment such as a surgery suite can’t allow exhaust air. In addition, the air that circulates through the system needs to have a HEPA filter in order to maintain the sterility of the delicate room. One of the problems that manufacturers had was to develop a product that circulates the air in a cooling loop. Water-cooled units were developed with a dedicated closed-loop system that can be used in environments meant to stay germ-free. Hospitals have begun to use water-cooled air conditioning units because of their excessive capacity to keep their surgical team cool during operations. Additionally, surgical units contain all of the items needed to operate a water-cooled system such as a water source and a drain. The fusion of both air-cooled and water-cooled units, these systems provide the comforts and functionalities of both types. By utilizing a heat exchanger to accept the surrounding heat, the air-handling unit cools it down and provides cool evaporated air to the area. Similar to a water-cooled unit, it only circulates interior air through the evaporator. The heated air is ejected through a ventilation tube that can run outside. The cooled air is pushed back into the line coming from the central unit and the process then repeats itself, creating a concentrated form of ambient air to the designated area. These units are essentially more high powered than standard systems and remain consistently cool even at high temperatures. MovinCool offers portable air conditioners, including spot coolers for industrial cooling, computer cooling, outdoor cooling, and water damage restoration.